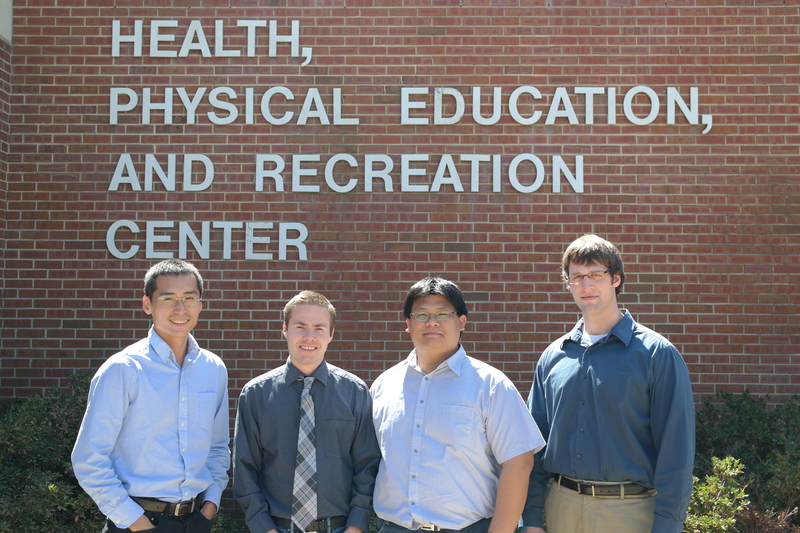 The Health, Exercise Science, and Recreational Management Department begin the 2014-2015 year with four exciting hires. The new professors, many of whom arrived to University of Mississippi’s campus this fall, are considered some of the best young scholars in their respective fields. HESRM’s new faculty includes Drs. Yang-Chieh Fu, KoFan Lee, Jeremy Loenneke, and Paul Loprinzi. Dr. Jay Garner, associate professor of exercise science and interim chair of HESRM, says its new faculty will help move forward the department’s national rankings. “We are tremendously excited about our recent hires. This puts us on track to continue our rise in becoming one of the top programs in our field,” says Garner. With nearly 800 students, the multidisciplinary department integrates the expertise of faculty to engage students in improving the health and fitness of individuals and communities. From exercise science to recreational administration, the department offers a wide range of undergraduate and graduate programs at UM. Velmer Burton, dean the School of Applied Sciences, is proud of HESRM’s recent recruitments in faculty. Jeremy Loenneke, a recent Ph.D. graduate of the University of Oklahoma, has conducted and published extensive research in skeletal muscle physiology. 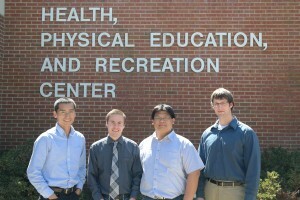 KoFan Lee recently completed his Ph.D. in Leisure Behavior at Indiana University Bloomington. Lee is an accomplished scholar with research exploring social-psychological perspectives in leisure studies. “His experience and work in the field make him a great asset for our burgeoning Recreation Administration program. He will be a wonderful success in our program,” says Garner. Paul Loprinzi received his Ph.D. from Oregon State University in Exercise & Sport Science. With numerous publications in peer-reviewed journals, Loprinzi’s research focus is primarily physical activity promotion. Yang-Chieh Fu received his Ph.D. in kinesiology from the University of Georgia. His on-going research and publications focuses on the functional and biomechanical performance of patients who have undergone a modern unicompartmental knee construction by camera-based motion analysis and videofluoroscopy techniques. He joined the department in 2013. “Dr. Fu’s experience and training make him a wonderful hire for the department and school,” Garner says.